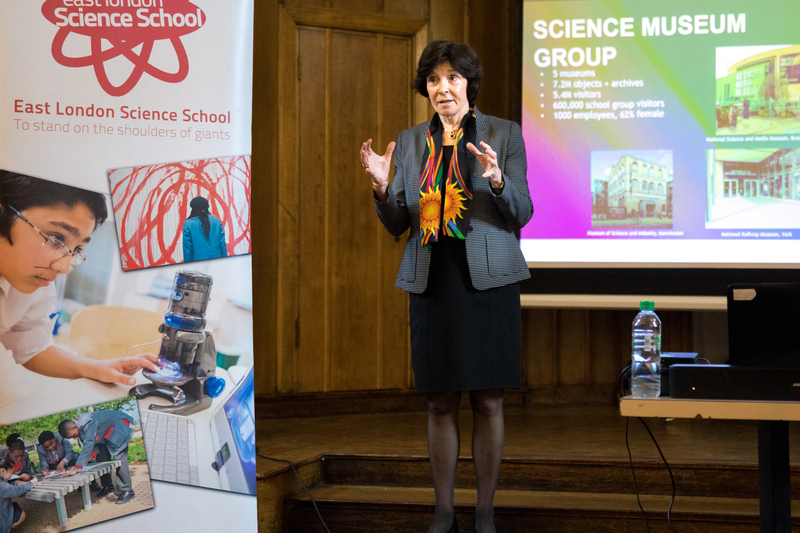 Last week the school proud to welcome a very well known guest, when Dame Mary Archer, took time out from her role as and Chair of the Board of Trustees at the Science Museum to present an inspiring lecture to pupils about her life and career in science. Dame Mary, a prominent public figure for many years, talked about her education at Oxford and Imperial College London – where she studied Physical Chemistry – and how she went on to persue a successful career as a scientist, researcher and university lecturer. 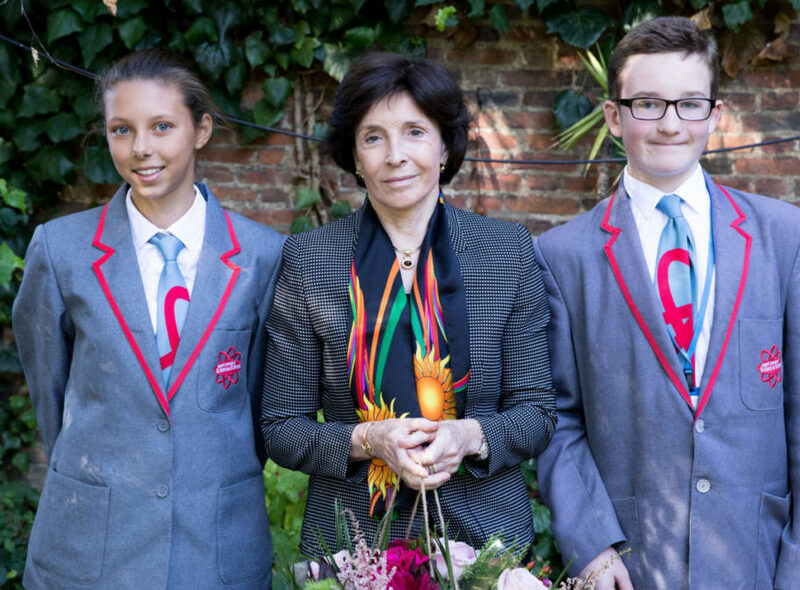 Dame Mary’s lecture was warmly received by the school’s aspiring young scientists, who grasped the opportunity to quiz her about her work-life experiences, and of course, her scientific expertise – energy and solar power conversion. Pupils asked her about the potential benefits of both nuclear and renewable energy as well as the ways in which carbon dioxide affects our atmosphere. Please read on for a full report back from Year 9 pupils Beatrice Banyte and Bradley Stafford. 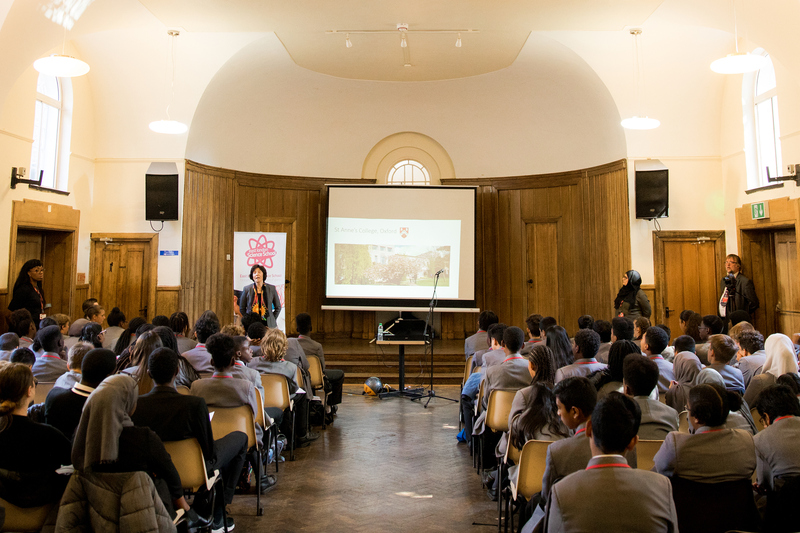 On Tuesday, 25th, September, 2018, ELSS year 9 students, had an amazing opportunity to listen to a lecture, which was set up by speakers for schools, by Dame Mary Archer. A renowned scientist that has a great background in science. She went to an all girl’s boarding school, which had a lot of science around her and inspired her to take science further. She took A-Levels in Math, Physics, Chemistry and further Math. She took a 4 year course in chemistry at St Anne’s college in 1962-1966, and then took a PHD in chemistry at the imperial college, where she got her first class degree. She went on to do her Postdoctoral work, which lasted 4 years, and by the end of the 4 years she got her lectureship in chemistry. She lectured in the department of physical chemistry at the imperial college for 10 years. Whilst she was working at the imperial college, she was living in the Old Vicarage, Grantchester, a house heavily associated with Rupert Brooke, a famous war poet from World War 1, who once lived in the house. When she stepped down from her job as lecturer at the Imperial College she joined the NHS at Cambridge University Hospital Group, were she worked as the chairman. As chairman, she was able to found the Cambridge Global Health Partnership, which helped people worldwide. After 10 years of working for the NHS, she retired her job to join the National science museum group, where she became the chairman. In the National science museum, there are a total of 5 different museum (the science museum, the locomotive museum, the national railway museum, the natural history museum and the science and media museum), 7.2 million objects and archives, 5.4 million yearly visitors, 600,000 yearly school visits and over 1000 staff members. Some examples of famous objects stored in the science museum, are Tim Peake’s astronaut costume and his shuttle and the Becky Colombo test model. At ELSS, students regularly go on trips to the science museum through our enrichment curriculum, where students can further their learning through amazing educational trips every week. As well as this, students get the chance to go on enrichment fortnight, where they go to places outside of London as well as inside of London, for 2 weeks. As well as these amazing trips, students get to listen to famous speakers at the beginning and end of the year. They also get to go on brilliant events, such as New Scientists Live (20th- 24th of September 2018) and meet scientists and learn more about science in general. As Dame Mary Archer says “a good background in science, is the best preparation in life! this shows that if you put enough work in you can go anywhere and do anything.